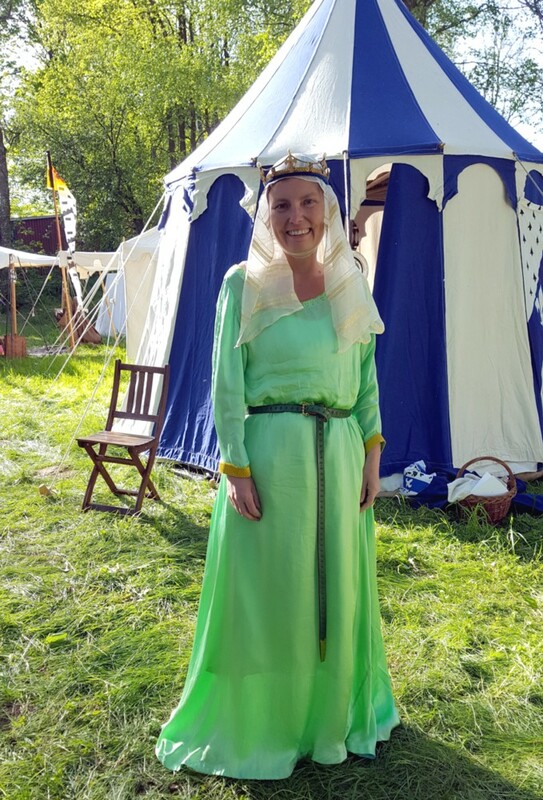 I made a veil with beads as a gift for the King and Queen of Drachenwald to distribute at Estrella wars in the US. 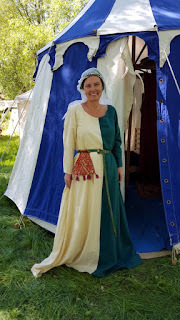 I made a 14th century mi-parti wool gown lined in silk for Maja. Which she promptly outgrew in a few months, without ever wearing to an event. 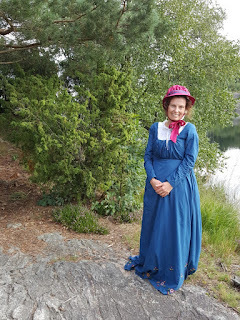 In February I shared quite a lot of images of Swedish fashions from the 1910s. 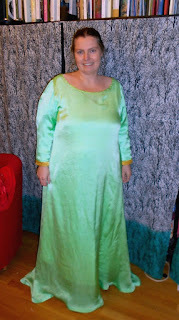 I also started on Valeria's Eleonora di Toledo gown, which now is finished, just waiting to be photographed. 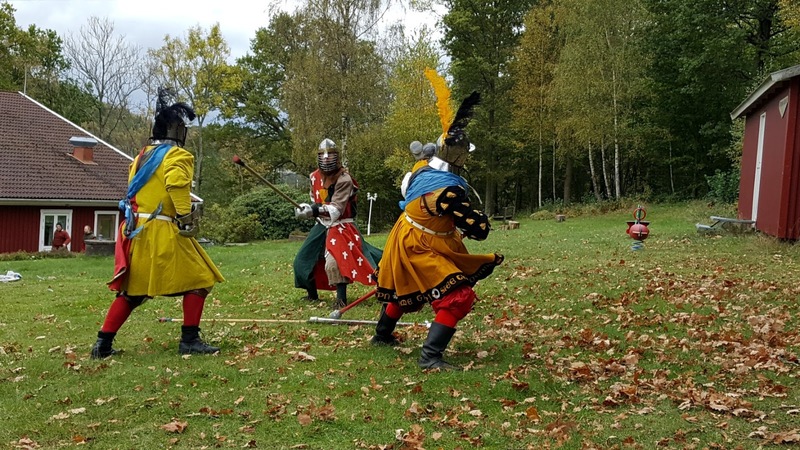 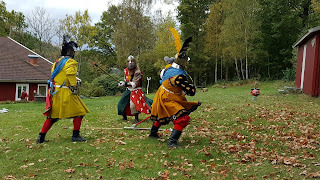 I also made a 16th century waffenrock in red and yellow cotton for Baron Måns. And the kirtle from my mint green ca 1340 silk satin Italian ensemble. 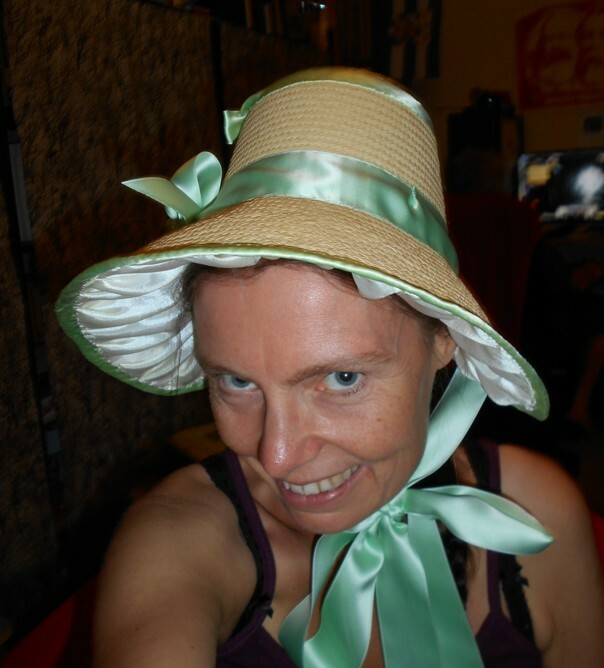 Of course I hade to remake that one, when I lost weight. And I knitted two flat caps from Marion McNealy's Gagiana pattern. And one for my friend Alfhild, though she didn't get it until her birthday in May. 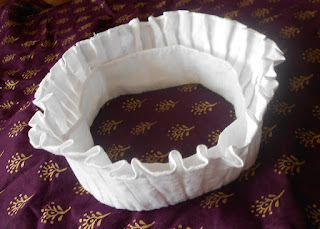 In april I wrote a quite long blog post about pleated fillets and various ways of making them: I have a few more versions that I want to try. I also continued sewing on Valeria's Eleonora gown, and started new outfits for me and Måns. They weren't finished until May though. 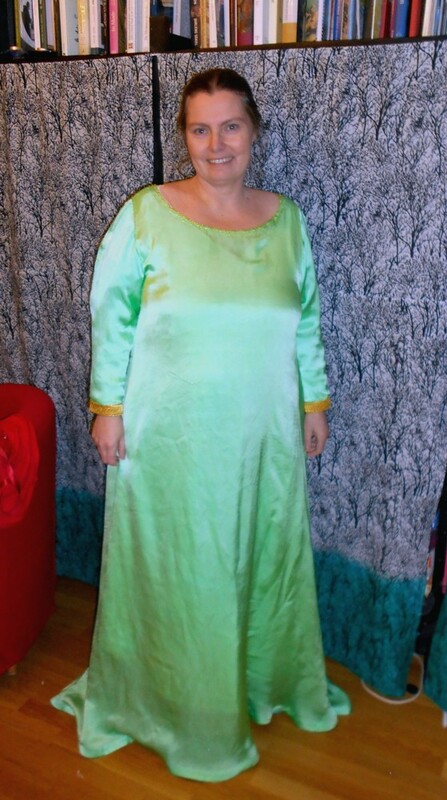 I took in the green silk satin kirtle. 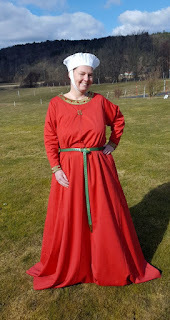 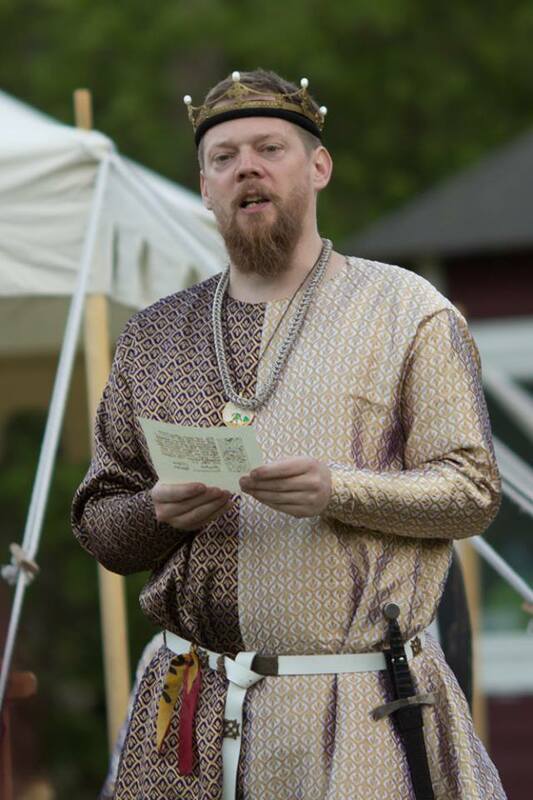 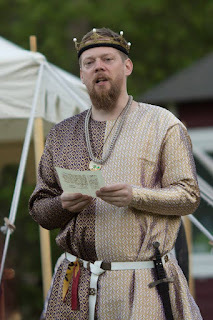 And my viking outfit, based on the Köstrup find. 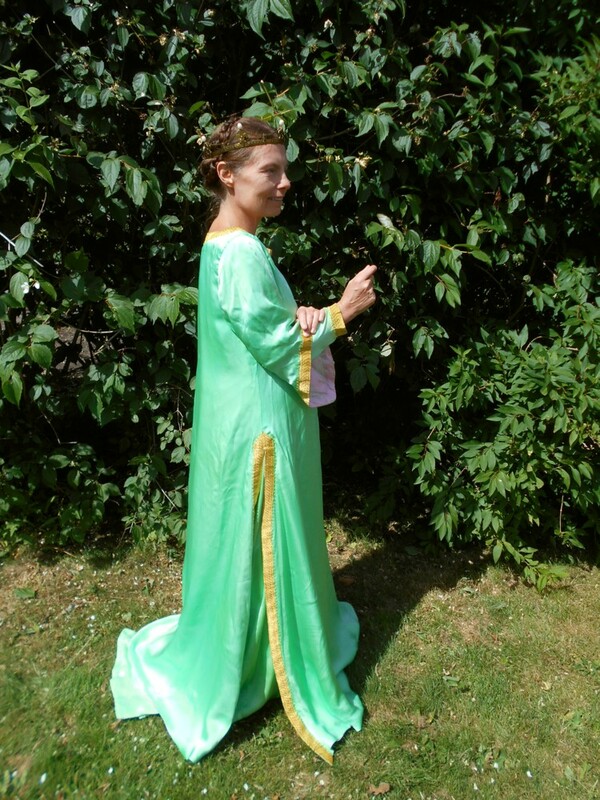 I also finished matching mi-parti silk brocade gowns for me and Måns, based on a 13th century Sicilian manuscript. June also involved re-making costumes. 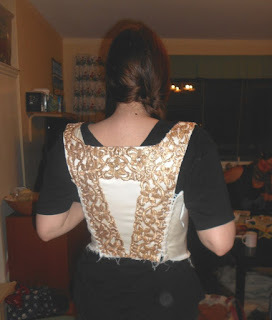 Since I needed to take them in so much it was really more like making them from scratch - I unpicked them and cut out new pieces from the old ones. Green 15th century Florentine gown. 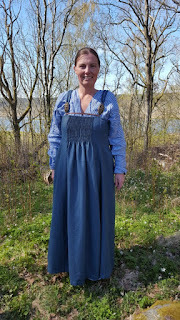 And my folk costume, though here I only took in the bodice and moved a couple of hooks on the skirt. I got around to document this gown, from late 13th-early 14th century Italy. 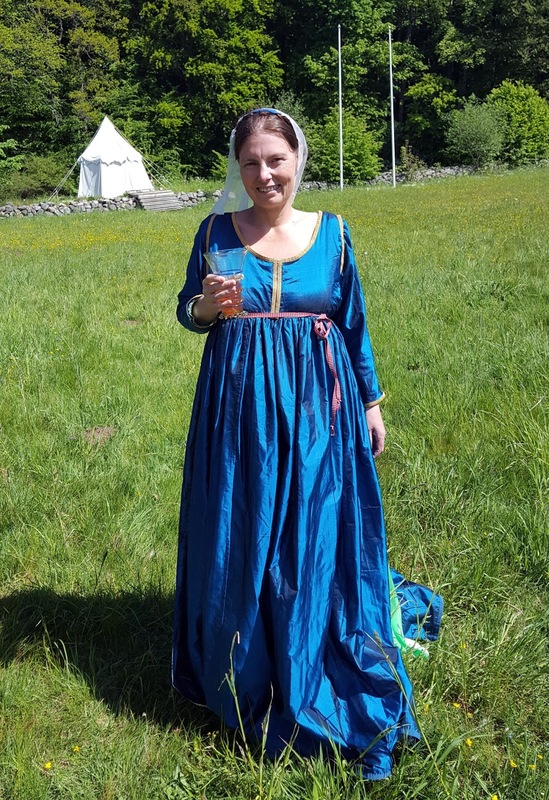 In June not only took in, but completely turned and remade another 15th century Italian gown. 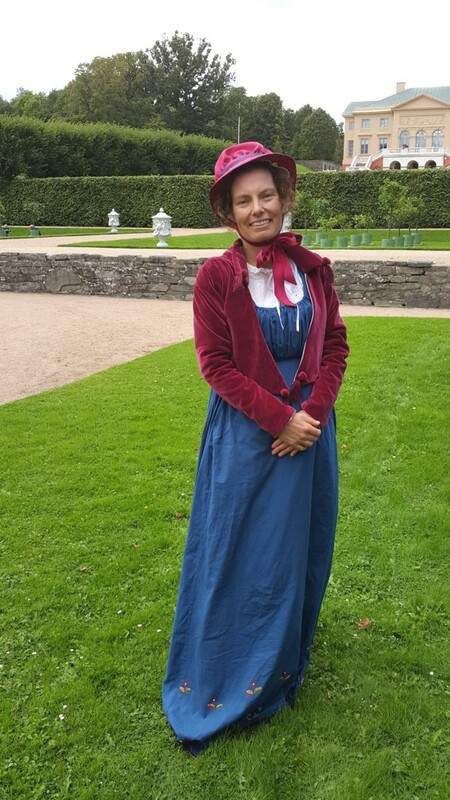 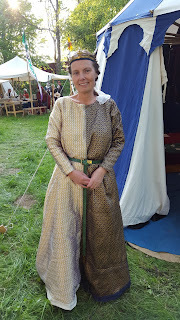 I also made a hand sewn working class 15th century Italian gown from thin wool. 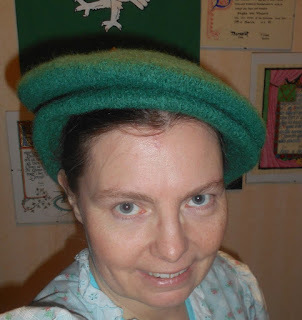 And wrote along post about caps from this period. 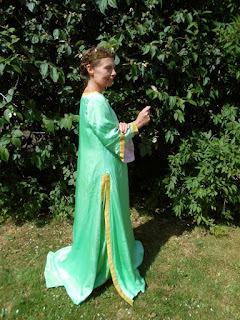 I finshed my mint green silk satin ca 1340 gown based on a painting by Bernardo Daddi. 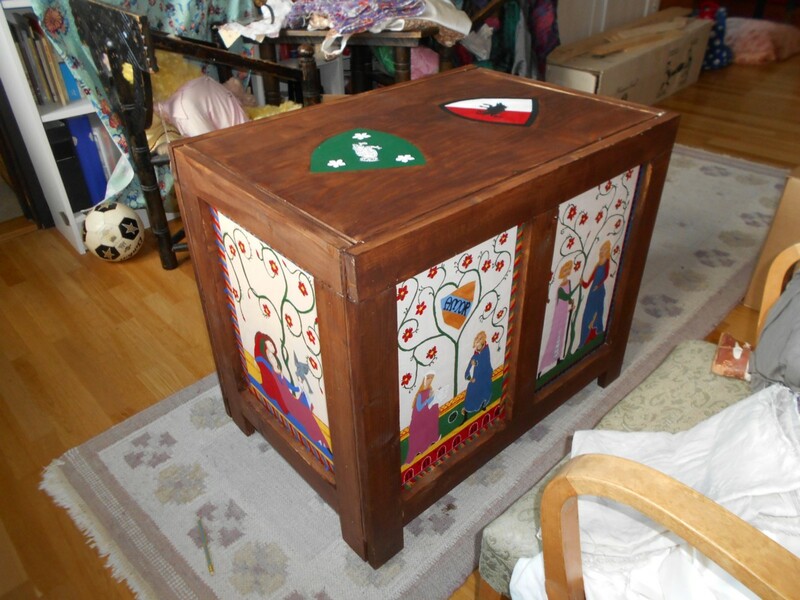 I finished one of my painted chests with courtly motifs from the early 14th century. All my watching of Jane Austen series led to me taking up making costumes from the directoire/empire era again. 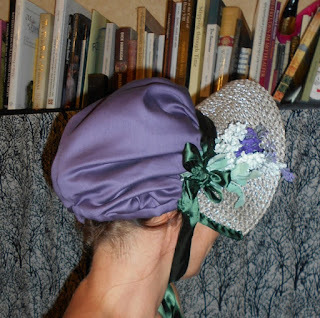 I took in my old stays, made a new bonnet and started embroidering a new gown. 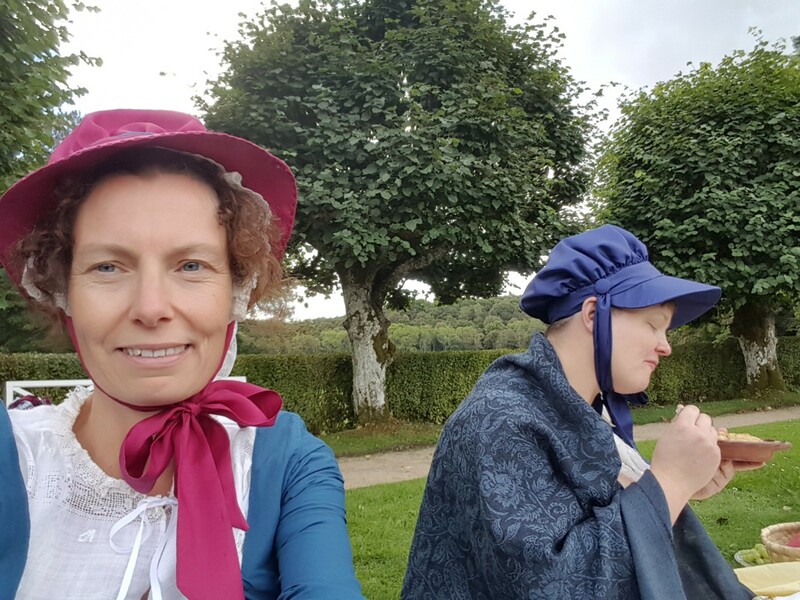 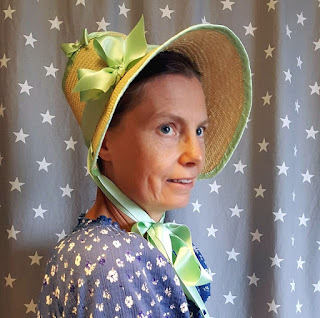 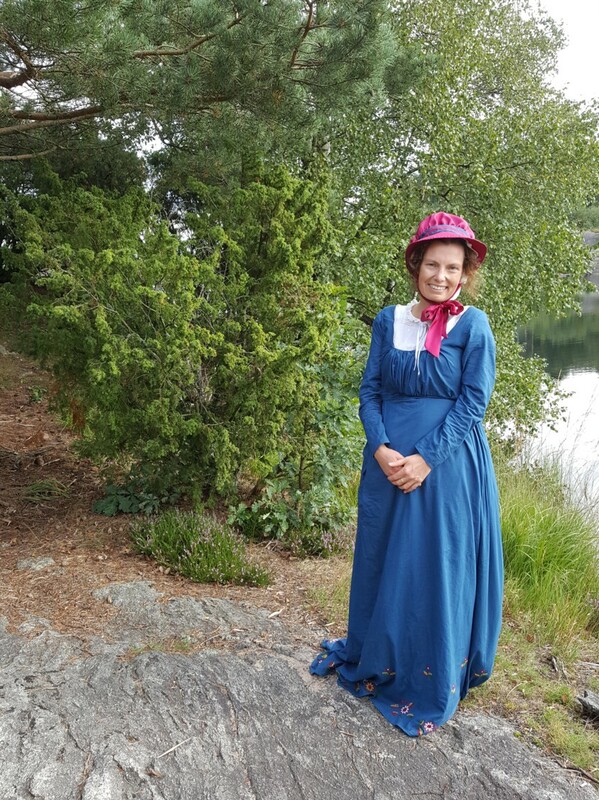 In august I lined the bonnet from July, made another one and made a very image heavy blog post on Regency bonnets. I took in my regency petticoat, and I started on a pair of late 18th century transitional stays. 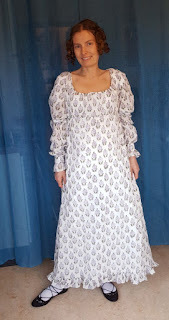 I also finished my embrodiered gown from ca 1800. In September we had our empire picnic and I had made chemisette, a velvet spencer, and new bonnets for me and my friend Anna. 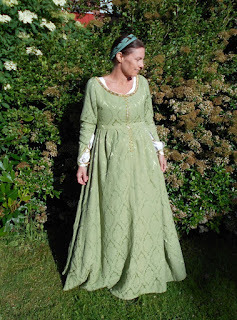 I took in a green brocade 15th century Italian overgown. 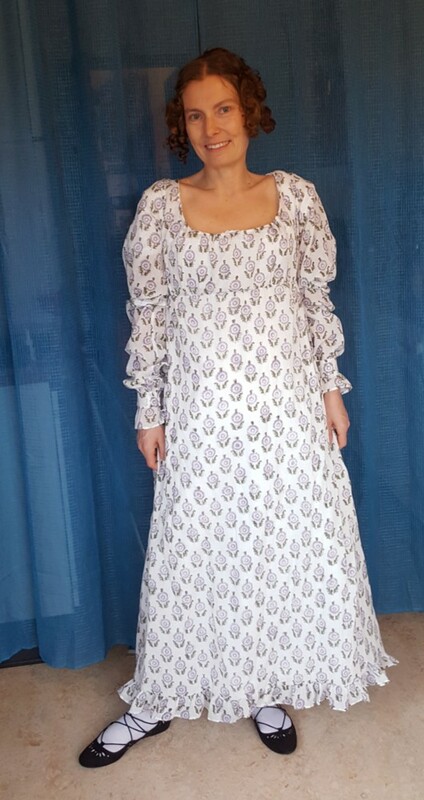 And I made a white muslin directoire (late 18th century) gown. 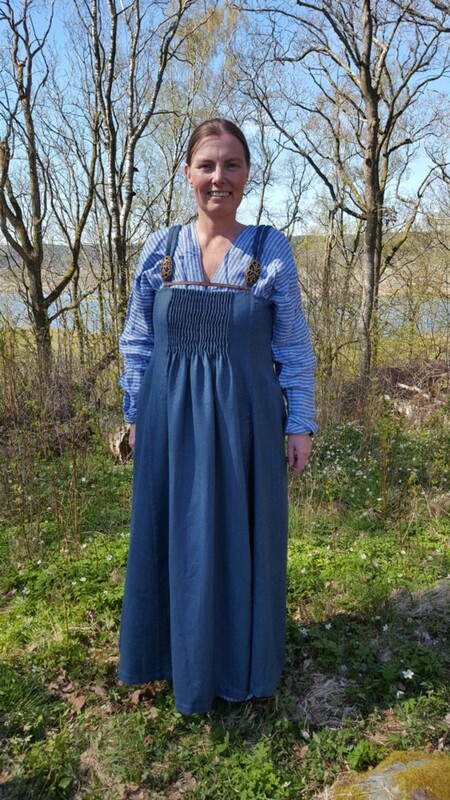 And wrote lots of documentation. October was spent embroidering a 16th century camicia for Valeria. I finished the skirt of Valerias Elonora di Toledo gown, and sewed it together with the bodice. 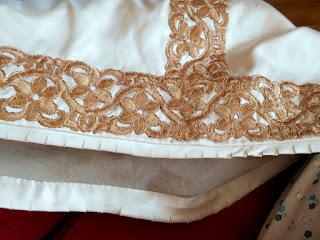 The emboridery of the camicia also got finished enough to be worn. 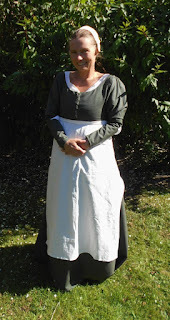 I made a muslin day dress from c. 1805-1815. 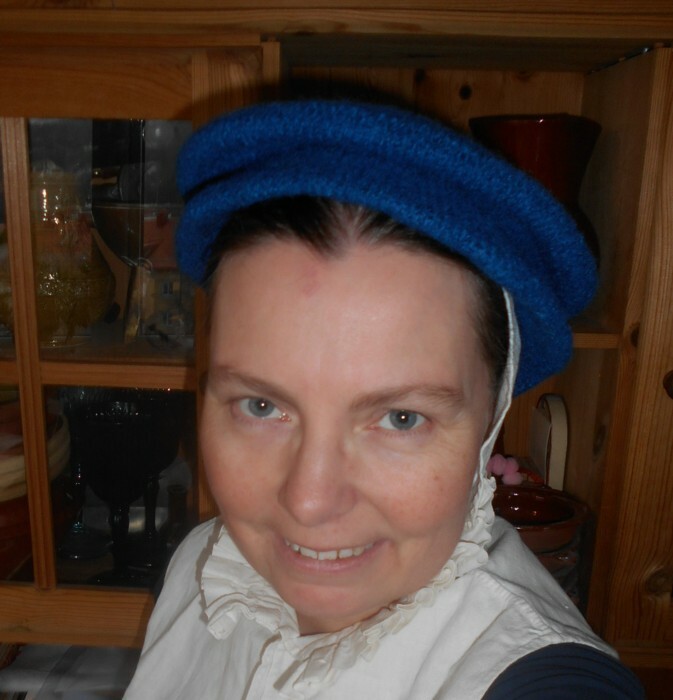 In December I researched winter bonnets (1800-1809 and 1810-1819)and made one. 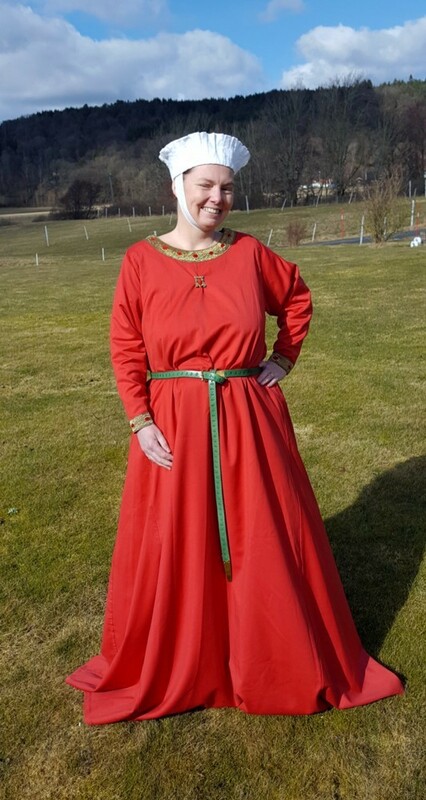 I also made a wool redingote from the first decade of the 19th century. 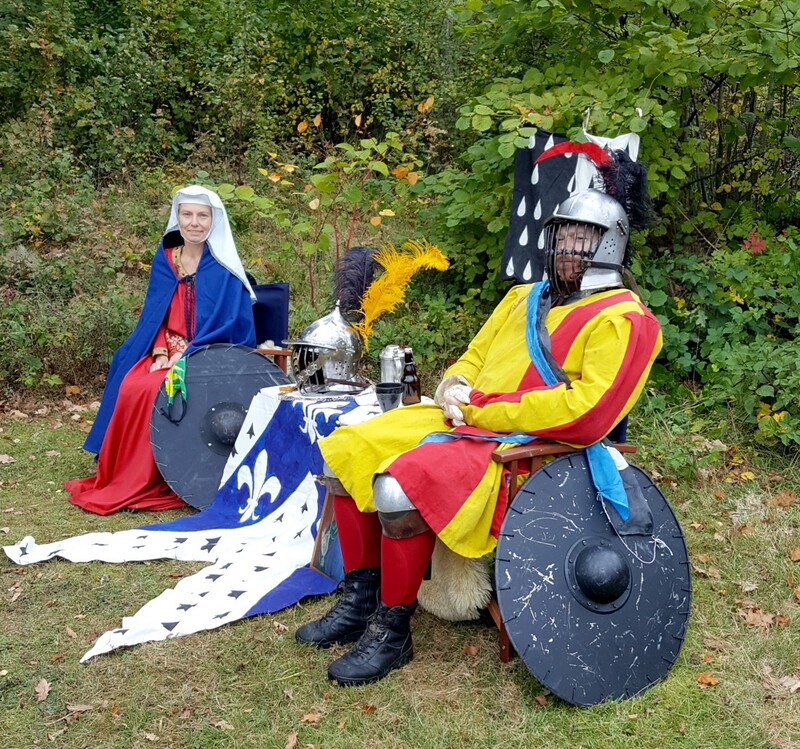 Combining my obsession with cotton in the Middle Ages with my enthusiasm for the weird high waisted Italain late 13th early 14th century gowns in one I made a working class gown from hand spun and hand woven cotton, all hand sewn of course. I re-made an old 1920s dress. 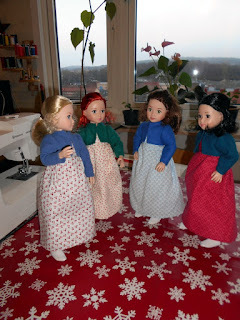 I also started making historical clothes for dolls. And in teh very last week of the year I made a hair net from metal braid and faux pearls for Valeria's Eleonora outfit, and before midnight the matching partlet will be finished. 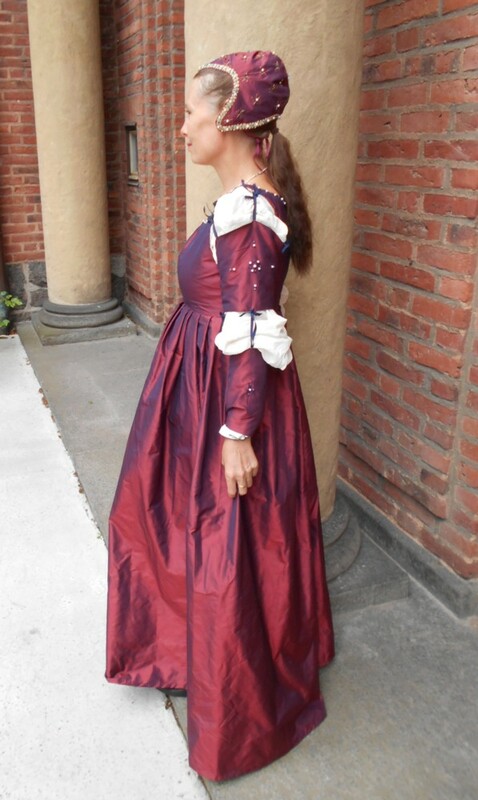 So maybe I will be able to photograph Valeria's 16th century Florentine costume this year - or tomorrow.